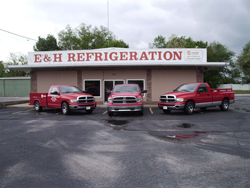 E & H Refrigeration, located in Martin, TN was founded in May 1980 by Tommy Hunt and Reed Exum. We have been serving Weakly, Obion and surrounding areas for the past 30 years. During this time, we have installed in excess of 10,000 heating and cooling systems ranging in size from 1.5 to 50 Tons. From the inception of this company, our goal has been to provide quality service and installation of our products. This still remains our goal and focus today. The present owners, Steve Butler and Greg Hazlewood, are dedicated to providing the best customer service possible. This is done by offering the best quality products and having the best staff available. 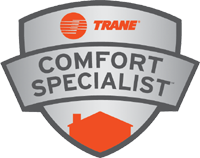 This is proven by consistently being awarded Trane's Top 10 Dealers in the Memphis sales zone.